Fox Interiors offers Full Service Interior Design – from a single room to an entire home, we can guide you through the design process, from developing the initial concept through the final details, to make your house your home. Good design may not change the world, but it can change your world. It influences the way you live every day. Formal spaces don’t have to be stuffy & casual rooms don’t have to be sloppy. A modern home should be Flexible, Comfortable, Functional and Inviting. Fox Interiors translates your desires into reality to create a home that is aesthetically and functionally pleasing. My experience and versatility enables us to make a strong design statement in a variety of styles at a competitive price. I am known for my organization and attention to detail in every phase of the project, taking your needs into consideration as we design a custom solution for the specific challenges in your home. I work with quality craftsmen who take pride in their work. They ensure that the same level of quality and attention to detail is applied to every aspect of your project, from start to completion. MY JOB IS SIMPLY… • To have the vision to connect all the images swimming in your head. • To develop solutions for your design challenges. • To painlessly guide you through decisions one at a time. • To get you to the moment when you walk into your home and fall in love all over again. There’s no doubt about it…redesigning even a small part of your home can be overwhelming. For every piece of furniture, every fireplace surround or window treatment there are unlimited choices. I will focus the selection, hone your unique style, and design a distinctive space with furniture and finishes that are lovely to look at, comfortable, functional and easy to maintain. Excel Builders is a remodeling company that offers home design build and construction services throughout the Greater Twin Cities Area. Our remodeling contractors excel in home remodeling. 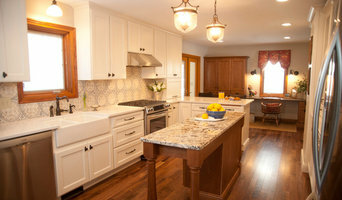 We have handled numerous kitchen remodels, bathroom remodels, basement remodels. and attic remodels. If your family is growing, we can add more space to your home through as home addition. We are proud to be serving the cities of Chaska, Minneapolis, Plymouth, Eden Prairie, Edina, Minnetonka, Shakopee, Chanhassen, Victoria, and Orono. At Excel Builders we are about working with our clients on a personal basis, to complete the remodel of their wishes. We believe that it is not only important to provide quality craftsmanship, it is equally if not more important to provide outstanding customer service. Working closely with our clients allows us to work efficiently from the designing phase to the final construction phase. Working with our great clients brings out the best in Excel Builders, being diligent to prove that throughout the remodel they have made the correct decision in choosing Excel Builders to complete their remodel. Contact us for your next project. What does a Little Canada kitchen designer or bathroom designer do? 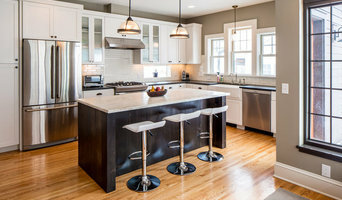 A kitchen and bath design professional in Little Canada, MN knows to take all of these crucial points into consideration and can help plan the layout, materials and overall look and feel of either of these rooms in your home. Kitchen designers, as well as bathroom designers, are constantly staying on top of trends in the ever-changing industry. The designer also knows the best layout for your room, and can configure the layout for optimal functionality and utilization of the space. In the kitchen the refrigerator, stove and sink should be laid out in relation to one another, and it should be seamless and easy to move from one to the other. A Little Canada kitchen and bath designer will know how to work with a contractor and architect to plan the flow of the room to work best for your needs. Here are some related professionals and vendors to complement the work of kitchen & bath designers: Kitchen & Bath Fixtures, Appliances, Tile, Stone & Countertops, Cabinets & Cabinetry, Woodworkers & Carpenters. Before you talk to bath and kitchen designers in Little Canada, MN, consider how you will use the room. For your bathroom, is it necessary to have a bathtub for bathing kids or pets, or would a shower suffice? Perhaps all you need is a half bath for downstairs or a smaller guest bath for occasional use. Similarly, for kitchen renovations consider your cooking habits. 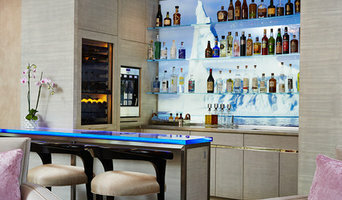 Do you eat out every night but need a space to entertain in? If so, a smaller kitchen might be fine for you, with a space devoted to wine storage or a bar, whereas others might prefer a bigger stove or extra cabinets. When interviewing Little Canada kitchen and bath designers, make sure to share these habits so they can best fit the room to suit your needs. Find a Little Canada kitchen designer or bathroom designer on Houzz. Narrow your search in the Professionals section of the website to Little Canada, MN kitchen and bath designers. You can also look through photos in Little Canada, MN to find a kitchen or bathroom you like, then contact the professional who designed it.